Barry Allen returns from the Speed Force a changed man in The Flash Season 4, not unlike the all-seeing and emotionally-distant Bran Stark on Game of Thrones. After Bran became the Three-eyed Raven, he could see all the the past and present, and it effectively fried his brain, transforming him into an emotionless shell. But Barry? He sees his entire existence. In The Flash Season 3 finale, Barry sacrificed himself to become a prisoner of the Speed Force, the otherworldly realm outside of time and space that gives him his power. 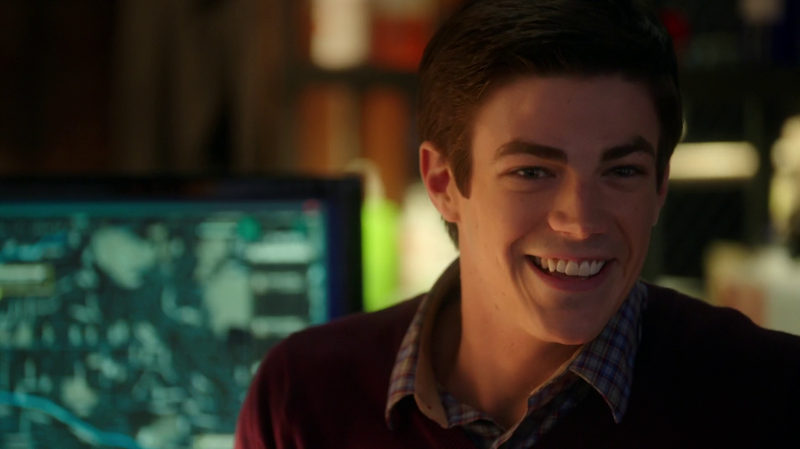 In a new interview with Entertainment Weekly, Gustin echoed previous sentiments that Barry returns a changed man: “Barry is pretty scrambled when he comes out of the Speed Force … he experienced his whole life laid out in front of him from start to finish.” The whole experience sounds overwhelming, to say the least, and those changes won’t be good for Barry — at first. Apparently Barry's beard growth actually moves pretty slow. Yes, the Flash will return to the show very quickly — probably by the end of the very first episode, which is called “The Flash Returns” — but he won’t be the same as before. “He comes out very wise,” Gustin explained, “kind of knowing everything, but he has no understanding of what he’s seen, so he comes out very jumbled and talking what he thinks makes complete sense, but just nonsense to the rest of the crew.” He’ll be totally confused at first, but Gustin thinks the changes will be a good thing in the long run both for the character and the show. Barry will eventually become fun and funny again. Part of Barry loving being The Flash again means a welcome return to the show’s fun-loving roots in Season 4. After a dour and mostly unfun Season 3 obsessing over Savitar and Iris’s impending death, it’s a welcome change. Barry’s newfound persona will also clash with Iris’s, who’s become the de factor leader of Team Flash during his absence, so don’t expect any wedding bells in the immediate future. Kreisberg does promise that Barry will have “the emotional maturity that he has in the comics,” and chances are that the new and improved Flash will be faster than ever. The Flash Season 4 premieres on The CW Tuesday, October 10 at 8 p.m. Eastern.